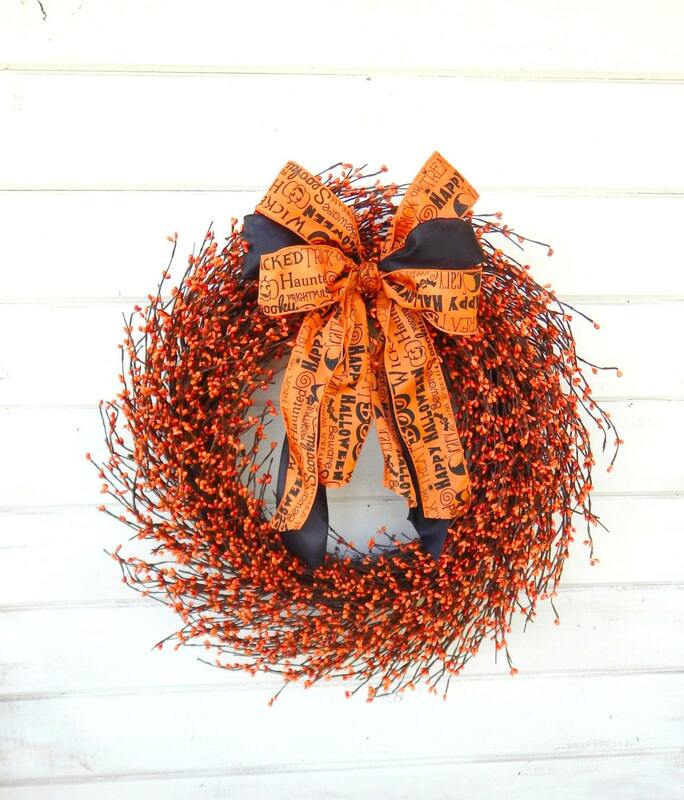 Welcome HALLOWEEN with this Orange Pip Berry Door Wreath....SCENT your wreath with PUMPKIN Spice or Mulled Cider!! This Unique Scented Grapevine Wreath is full of Orange Pip Berries. 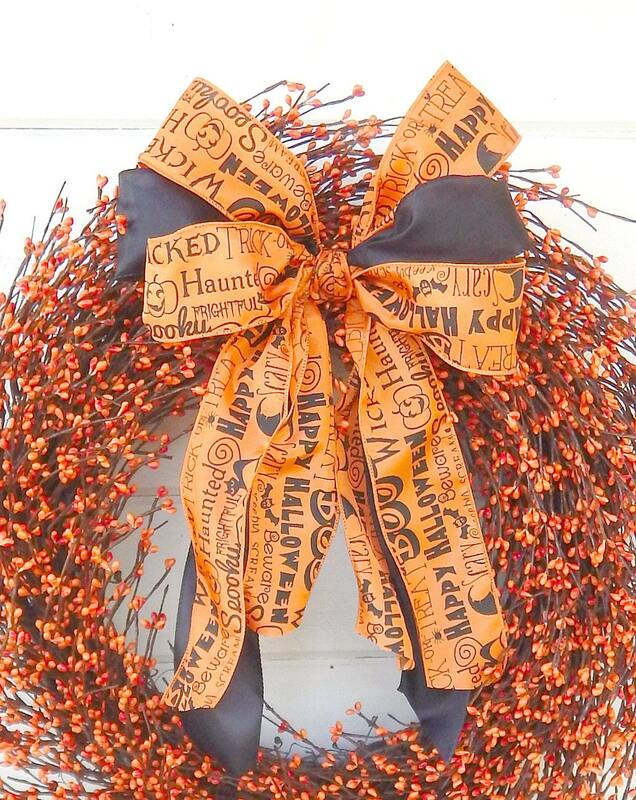 Change the ribbon and use it for Halloween and Thanksgiving!! This looks just like the picture. It is absolutely beautiful. 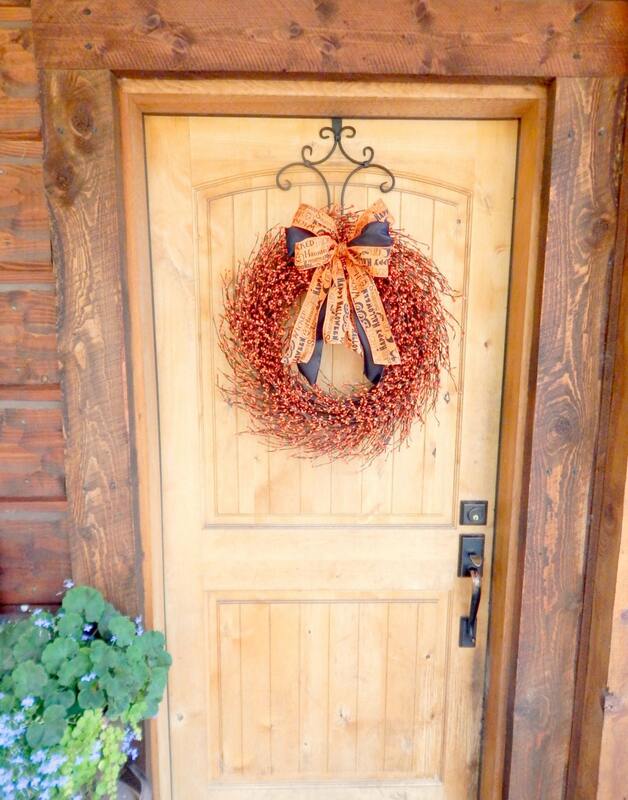 It stands out so well on my door, and even though I have hung it outside for over a week now, I can still smell the scent when I walk up to my door. I would definitely shop from this store again.